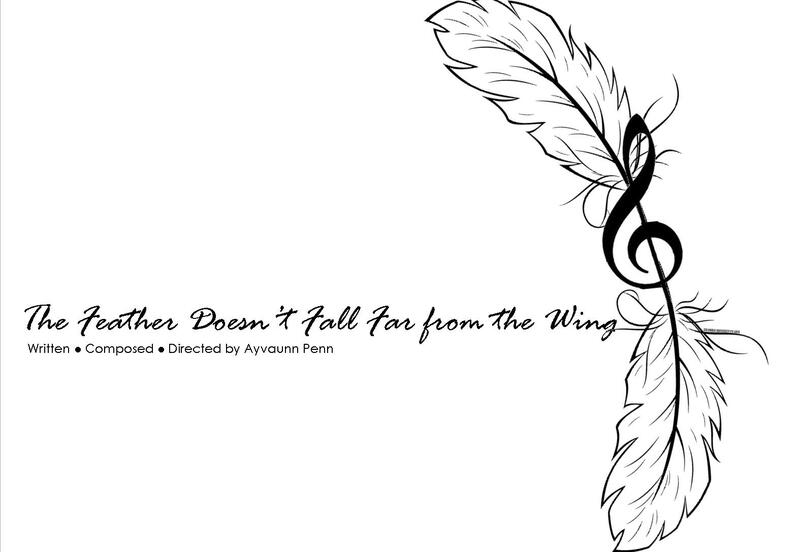 Through the perfect elixir of poetry, song, and dance The Feather Doesn’t Fall Far from the Wing — a new play with music — imagines the lives of two angels who dare to take Lucifer’s place as heaven’s minister of music after his fall from grace. Be a part of this piece’s introduction to the world through its first public reading being held at Columbia University on November 20, 2017. NON-UNION. OPEN ETHNICITY. AGES 18+. Seeking a diverse group of actors with: excellent singing ability; a good ear for a capella and vocal improvisation; a strong sense of rhythm; and a passion for poetry. Lucifer (Lead) – Male. Tenor. Exceptional singer. Bold. Intellectual. Cunning. Heaven’s minister of music until he vows to forever be at odds with God. Lehabim (Lead) — Soprano. Exceptional singer. Lucifer’s beloved sister. Maternal. Heaven’s second minister of music. Actors auditioning for this role will also be considered for the role of Eve and have the possibility of being double cast. Luz (Lead) — Bass. Exceptional singer. Lucifer’s brother. Muscular. Bigger than life presence that fills the room. Heaven’s third minister of music. Actors auditioning for this role will also be considered for the role of Adam and have the possibility of being double cast. Abdeel (Supporting) – Male. Tenor. The garrulous angel who always supports and encourages others. Actors auditioning for this role will also be considered for the role of Adam and have the possibility of being double cast. Abdon (Supporting) – Male. Tenor. The angel who is the unassuming instigator. Actors auditioning for this role will also be considered for the role of Adam and have the possibility of being double cast. Abiah (Supporting) – Female. Soprano or Alto. The wild card. Chill. Laid back. Actors auditioning for this role will also be considered for the role of Eve and have the possibility of being double cast. Amana (Supporting) – Female. Soprano or Alto. The one who listens while others simply hear. Extremely intelligent. Adam (Ensemble) – Tenor or Bass. The first man God creates. Though this character does not sing, the actor cast in this role will sing songs and deliver lines that involve the full cast. Eve (Supporting) – Female. Soprano or Alto. The first woman God creates. Though this character does not sing, the actor cast in this role will sing songs and deliver lines that involve the full cast. Ensemble / Chorus – Additional sopranos, altos, tenors, and basses interested in contributing vocal support for songs and group lines involving the whole cast. Location: Riverside Church, Room 12T – Click here for directions. A two-minute contemporary monologue. Dramatic or comedic. One and a half to two minutes of a song. Preferably theatrical. No accompaniment. Only audition if you are available for the entire rehearsal and performance schedule. Rehearsals will be one week. 6-9PM November 13 – 17th and 10AM-2PM on Saturday, November 18th . All rehearsals will be held on the Columbia University campus or surrounding area. *Dates and times may change due to creative team schedules and/or rehearsal space availability. Monday, November 20th at 7:30PM at Columbia University Schapiro Theatre. Will be filmed for student archive and promotional purposes. To receive automatic updates on future audition opportunities, follow this blog by entering your email address at the bottom of this webpage.